After 2 years maturing in Heaven Hill bourbon barrels, we are thrilled to announce the release of our latest batch of Bourbon Barrel-aged Black Lagoon Scottish Strong on Saturday, June 30th! It will also be available on draft until the keg kicks. 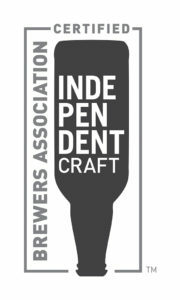 Black Lagoon is our popular Scottish-style Strong Ale (AKA Wee Heavy) that has won many awards in international competitions including a Silver medal at the prestigious 2015 Great American Beer Festival and the 2018 California State Fair. 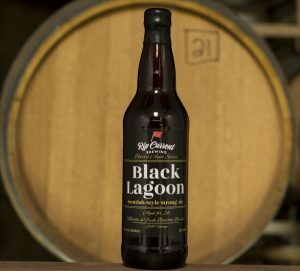 Black Lagoon has a silky smooth dark malt character with rich caramel, toffee and hints of chocolate and dark fruits. This beer is ideal for extensive barrel aging to round out the spectrum of flavors with bourbon and oak-derived goodness. We don’t rush the barrel-aging process, allowing our beer to blend in the bourbon flavors preserved in the barrel while extracting notes of coconut and vanillin deeper in the oak. Come try it on tap and buy a bottle to go! This is a limited bottle release, so please don’t wait as they will go fast!